Race with the leaves? Are you serious? That’s the best slogan you could come up with? To me a race implies a competitive event, with a winner and a looser. You don’t know who’s going to win from the outset, that’s what makes it a RACE. 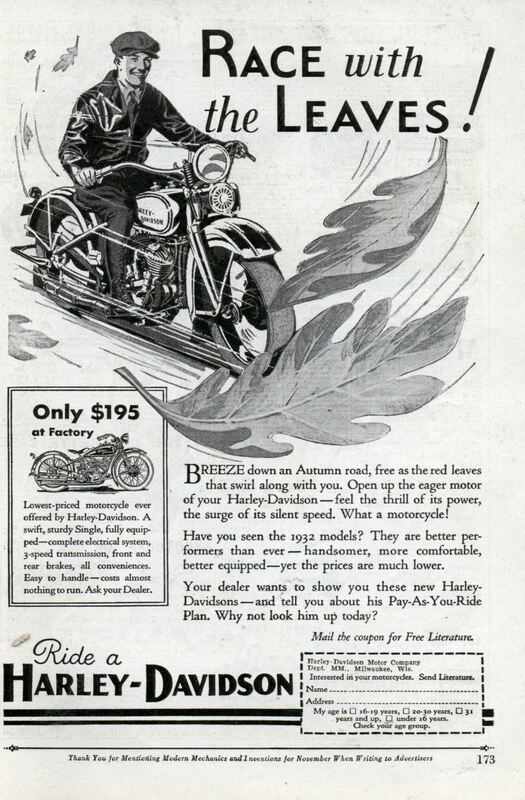 So what they are saying in this ad is: Cruising along on your Harley with the throttle all the way open, driving as fast as you can; you may still be passed by a leaf. You know a leaf, falling from a tree. Or kicked up by a light breeze. Update: I saw (via Boing Boing) that the current Worth 1000 Photoshop contest is titled “Bad Ads“. I think that this ad fits the contest better than some of the actual entries, but they are very funny nonetheless. If you haven’t checked out the Worth 1K contests you should, they can be hilarious. BREEZE down an Autumn road, free as the red leaves that swirl along with you. Open up the eager motor of your Harley-Davidson â€” feel the thrill of its power, the surge of its silent speed. What a motorcycle! 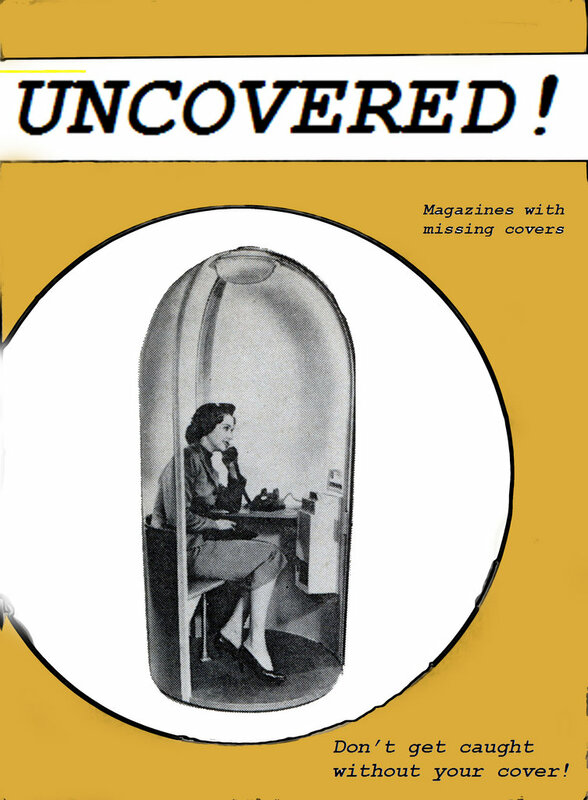 Have you seen the 1932 models? They are better performers than ever â€” handsomer, more comfortable, better equippedâ€”yet the prices are much lower. Your dealer wants to show you these new Harley-Davidsons â€” and tell you about his Pay-As-You-Ride Plan. Why not look him up today? Lowest-priced motorcycle ever offered by Harley-Davidson. A swift, sturdy Single, fully equippedâ€”complete electrical system, 3-speed transmission, front and rear brakes, all conveniences. Easy to handle â€” costs almost nothing to run. Ask your Dealer. I think that you are taking that caption way too literally. I believe the ad is implying that even though it’s autumn (and the last thing most people would be planning to do would be to by a motorcycle) buy a Harley and enjoy what’s left of the good riding weather. Is there actually anyone in the word who knows the difference between “lose” and “loose” besides me?